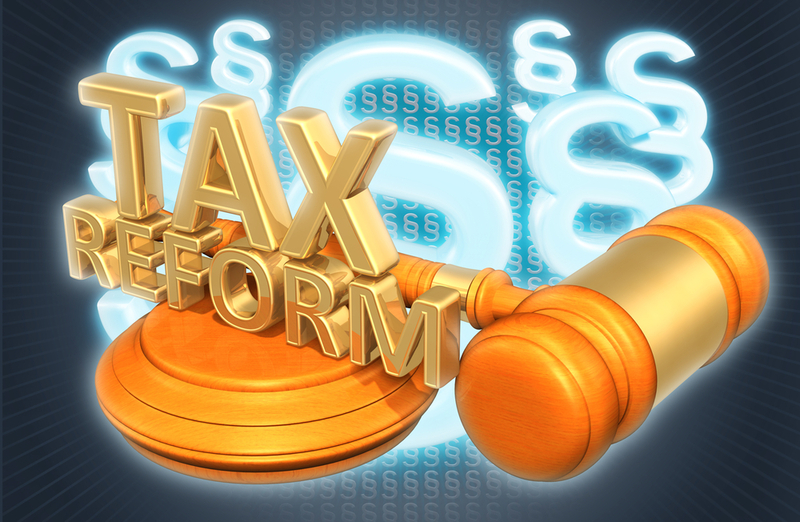 The Tax Cut and Jobs Act impacts investors in many ways, some negative and others positive. Investors with significant investment expenses will decry the suspension of that miscellaneous itemized deduction. Investors in pass-through entities may be surprised they might be entitled to a 20% deduction on qualified business income. These changes under the new law take effect in 2018. The new law suspends “all miscellaneous itemized deductions that are subject to the two-percent floor under present law.” These include investment expenses, unreimbursed employee business expenses and tax compliance fees for non-business taxpayers. Miscellaneous itemized deductions are an AMT preference for 2017. Investment expenses include trading expenses when the trader is not eligible for trader tax status (TTS), and investment advisory fees and expenses paid to investment managers. TTS traders have business expense treatment, so qualification for that status is essential in 2018. Investment expenses are still allowed as a deduction from net investment income for calculating the 3.8% Obamacare net investment tax. Retirement plans, including IRAs, are also entitled to deduct investment expenses, although it may be difficult to arrange with the custodian. TTS traders have business interest deductions for margin interest on TTS trading positions. According to the new law, “The conference agreement follows the House in exempting from the limitation taxpayers with average annual gross receipts for the three-taxable year period ending with the prior taxable year that do not exceed $25 million.” A TTS trading company will likely not trigger the 30% income limitation on business interest expenses. The new law changed the carried interest tax break for investment managers in investment partnerships, lengthening their holding period on profit allocation of long-term capital gains (LTCG) to three years from one year. If the manager also invests capital in the investment partnership, he or she has LTCG after one year on that interest. The three-year rule only applies to the investment manager’s profit allocation — carried interest. Investors still have LTCG based on one year. Investment partnerships include hedge funds, commodity pools, private equity funds and real estate partnerships. Many hedge funds don’t hold securities more than three years, whereas, private equity, real estate partnerships and venture capital funds do. Investors also benefit from carried interest in investment partnerships. Had the new tax law repealed carried interest outright, investment partnerships without TTS would be stuck passing investment advisory fees (incentive fees) through on Schedule K-1 as non-deductible investment expenses. Carried interest fixes that: The partnership allocates capital gains to the investment manager instead of paying incentive fees. The investor winds up with a lower capital gain amount vs. a higher capital gain coupled with a non-deductible expense. For example, if the investor’s share of net income is $8,000, he or she is happy to report $8,000 as a net capital gain. Without carried interest, the investor would have a $10,000 capital gain and have a $2,000 (20%) non-deductible investment expense. Senate and House conferees canceled the last minute and controversial proposal to require investors to use First-In-First-Out (FIFO) accounting on the sale of securities. FIFO is the default method, but sellers of securities may also use “specific identification.” Investors are entitled to cherry-pick securities positions they sell for capital gains. For example, if an investor sells a portion of Apple shares, he or she may select lots with higher cost basis to realize a lower capital gain. The specific identification method requires a contemporaneously written instruction to the broker and a written confirmation of that execution by the broker. Many taxpayers don’t comply with these rules. For sales of financial products other than securities (such as cryptocurrency), specific identification may not be possible. The new tax law maintains the LTCG rates of 0%, 15%, and 20%, and the capital gains brackets are the same for 2017 and 2018. LTCG rates apply if an investor holds a security for more than12 months before sale or exchange. The new law did not change the small $3,000 capital loss limitation against other income, or capital loss carryovers to subsequent tax years. The new law also retains LTCG rates on qualified dividends. The 60/40 capital gains rates on Section 1256 contracts are intact, and the new law did not mention any changes to the Section 1256 loss carryback election. At the maximum tax bracket for 2018, the blended 60/40 rate is 26.8% — 10.2% lower than the top ordinary rate of 37%. The new law did not fix wash sale loss rules for securities in Section 1091. For more on this lingering issue, see Don’t Solely Rely On 1099-Bs For Wash Sale Loss Adjustments. The new law does not make any changes to Section 475 MTM ordinary income or loss. It does not change tax treatment for various financial products including spot forex in Section 988, ETFs, ETNs, volatility options, precious metals, swap contracts, foreign futures and more. The new law limits Section 1031 like-kind exchanges to real property, not for sale. Investors may no longer use Section 1031 to defer income recognition on exchanges in artwork, collectibles, and other tangible and intangible property. Cryptocurrency (coin) is intangible property. The threshold is $315,000 (married) and $157,500 (other taxpayers), and the phase-out range is $100,000 (married) and $50,000 (other taxpayers). As an example, a securities hedge fund eligible for TTS with Section 475 ordinary income may have qualified business income (QBI), and the hedge fund is likely a specified service activity (SSA). If a non-active limited partner has taxable income under $315,000 (married) or $157,500 (other taxpayers), he or she might get a 20% deduction on the partnership share of QBI or taxable income less net capital gains (whichever is lower). In the $100,000/$50,000 phase-out range above the income threshold, the QBI deduction phase-out. Some investors may exceed the phase-out, and not qualify for the deduction, but others may have lower income and be eligible for the deduction. The new law retained the Obamacare net investment tax (NIT) of 3.8% on net investment income (NII) over modified AGI of $200,000 single and $250,000 married, not indexed for inflation. The Act suspends investment expenses as a miscellaneous itemized deduction on Schedule A, but it does not interrupt investment expenses for NII. Form 8960 Part II “Investment Expenses Allocable to Investment Income and Modifications” includes miscellaneous investment expenses, investment interest expenses, and state, local and foreign income taxes. The new law capped state and local income taxes on Schedule A at $10,000 per year, but there is no cap for these expenses on Form 8960. Continue to keep track of these costs. The new law lowered tax rates on ordinary income for individuals for almost all tax brackets and filing status. It decreased the top rate to 37% in 2018 from 39.6% in 2017. Short-term capital gains are taxed at ordinary rates, so investors receive this benefit. If a 2017 converted Roth account drops significantly in value in 2018, a taxpayer can reverse the Roth conversion with a “recharacterization” by the due date of the tax return including extensions (Oct. 15, 2018). That’s the last year to do a reversal. The new law repeals this recharacterization option starting in 2018. The individual tax cuts are temporary through 2025, which applies to most provisions, including the suspension of investment expenses. Republicans probably expect Democrats to extend, or make permanent, the individual tax cuts before the 2026 midterm election year. President Barrack Obama made the President George W. Bush’s 10-year tax cuts permanent for all individuals, other than the upper 2%, in the fiscal cliff at the end of 2012. In 2010, Obama extended all Bush tax cuts to 2012. Republicans in Congress forged the new tax law in haste. A technical corrections bill is already in the works, and Republicans may need Democrats to pass it through regular order. There will be surprises from the IRS in their regulations and guidance, too. Tax planning is difficult until all these issues become settled. Consider a consultation with Green Trader Tax to discuss the impact of the “Tax Cut And Jobs Act” on your investment activities. Learn more about the new law and tax strategies for investors, traders and investment managers in Green’s 2018 Trader Tax Guide. This entry was posted in 2017 Tax Cuts and Jobs Act (TCJA), Tax Changes & Planning and tagged tax cuts, tax reform on December 27, 2017 by Robert Green.